A 31 page manual detailing the repair and assembly and adjustments of the standard Model T front and rear axles. 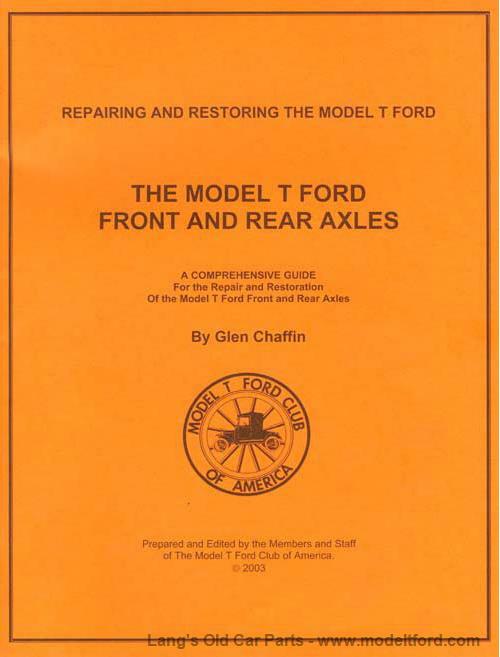 Prepared and edited by the members and staff of the Model T Ford Club of America. The Model T Transmission, manual by the Model T Ford Club of America. The Ford Engine, Repairing and restoring, by the Model T Ford Club of America. The Electrical System, by the Model T Ford Club of America. The Ford Carburetor, Repairing and Restoring. by Model T Ford Club of America.